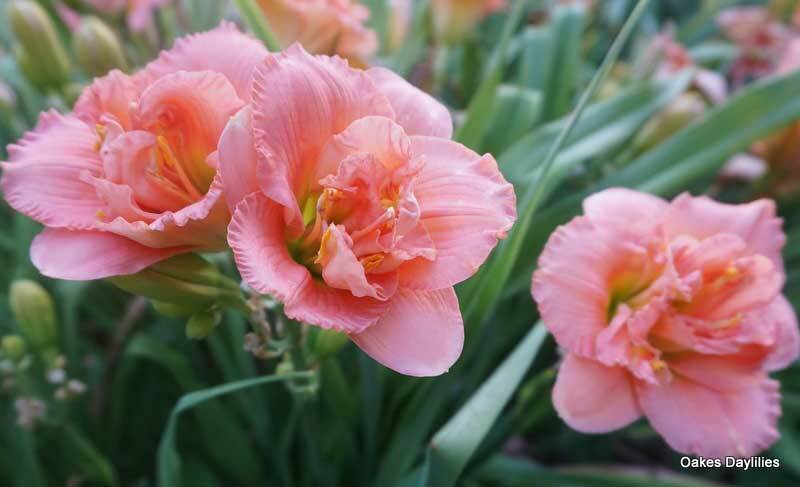 A very popular and award-winning variety with double peachy pink blooms on short scapes. Winner of the Stout Medal, daylily’s highest award. 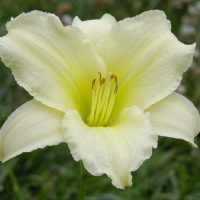 This daylily is not only beautiful it’s very fragrant too. Rewards me with more and more blooms every year! 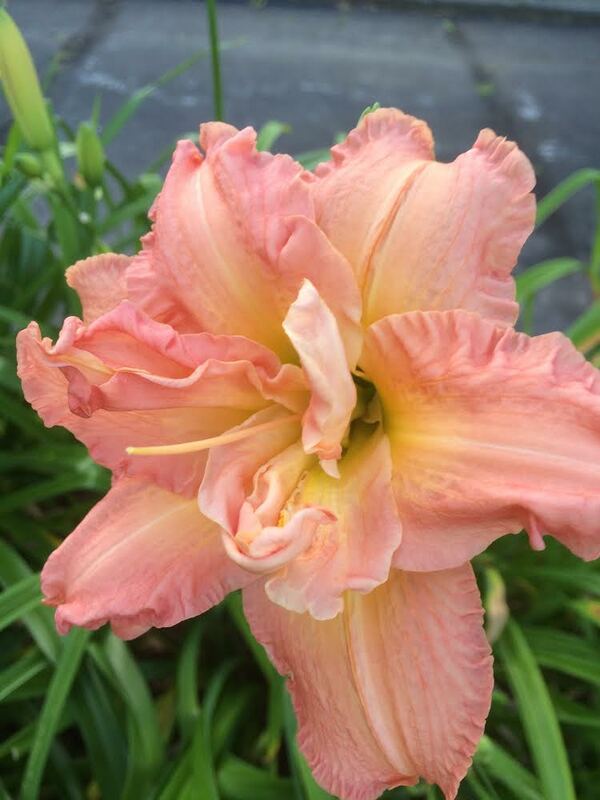 This was one of the first daylilies I purchased from Oakes many, many years ago. It blooms so profusely with a color and form that is just breathtakingly beautiful. I moved it once and suffered for years with toned down colors before realizing it was just not the correct space for it. Give it some room and you will be amazed. I have it now in three different places and it is a show stopper in each. 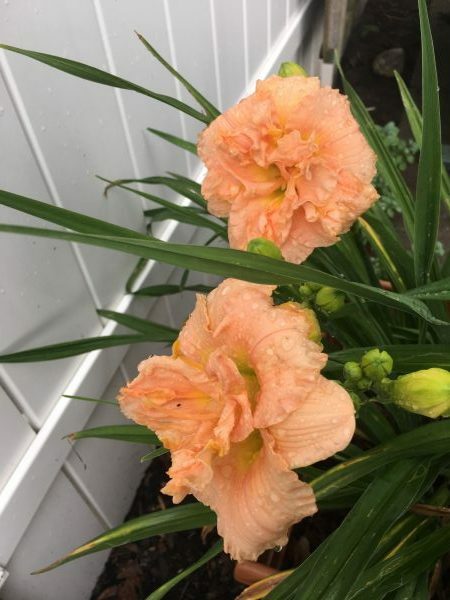 As many of my other daylilies I have, I received this one from my Dad also. I started out with two fans. The next year I had a mound of blooms. It has been one of the hardiest and healthiest ones in my garden. It is usually one of the first to bloom. I always say if this is a sample of what is to come, we are in for a treat! I am never disappointed with this one. I guess of all, this has to be my favorite, along with “Grandfather time”, Mary’s Gold, Dublin Elaine etc.. etc…. etc…!!! I started off with 2 double fans 3 years ago. I now have 3 clumps with 20 plus fans each. This plant is prolific and blooms like crazy. I have 1 in a container that was just a piece of a root last year and it bloomed this year with 4 scapes. The color is more pink than peach for me and I get primarily doubles after the first week. This is the second year I have had this daylily. The first year it didn’t bloom, but it was worth the wait! 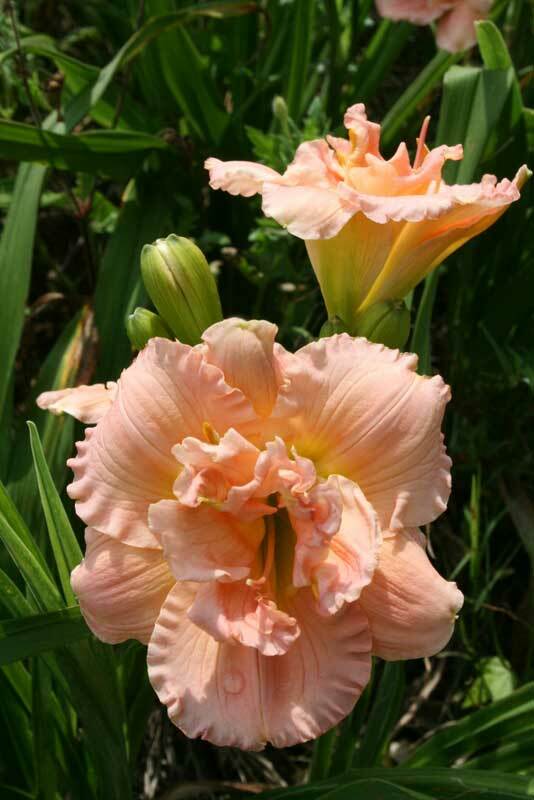 They are a gorgeous peachy-pink and have a wonderful fragrance. And they are a powerhouse of blooms. I was a little worried when my very first bloom popped out a single, but most of the rest have been outstanding ruffly doubles. 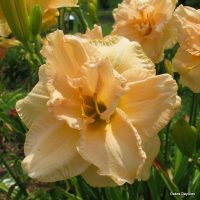 I highly recommend this daylily. 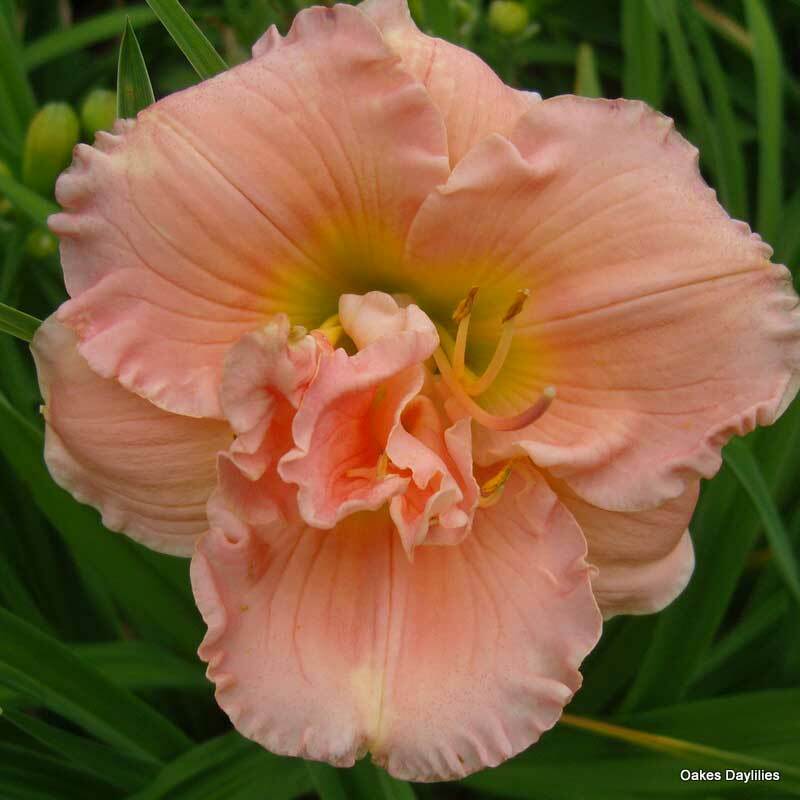 I love this daylily, it is one of the prettiest ones I have. 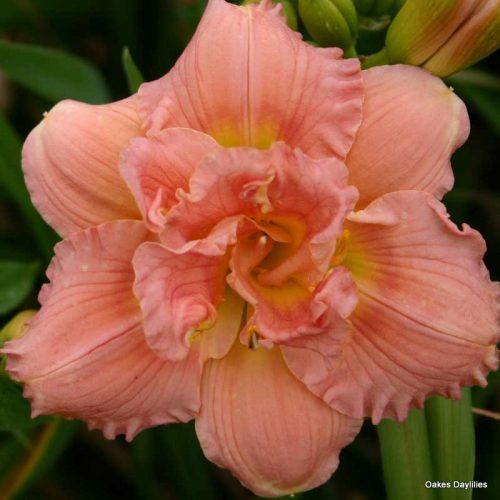 The color is a very pretty and delicate shade of shell-pink. I ordered and planted it 2 years ago and I was so disappointed last year when it didn’t bloom. But this year, it outdid itself. I guess it took a year to get established because it was loaded with blooms all through July and August. Strong grower: I transplanted it to a new location in late August which (much to my surprise) triggered a rebloom in late September! I only gave it a 9 as the color is both light and peachy here. This is probably the most beautiful daylily I have ever owned. 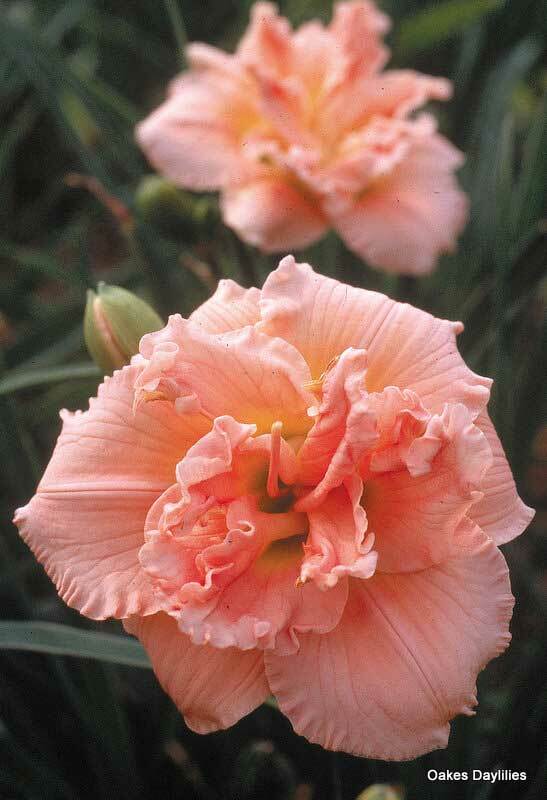 The color is incredibly gorgeous and the ruffled edges are breathtaking. It may only be 16 inches tall but stands far above many others with the impact it gives in groupings. Highly recommended. I have enjoyed Siloam Double Classic for 7 years in my N Idaho garden. 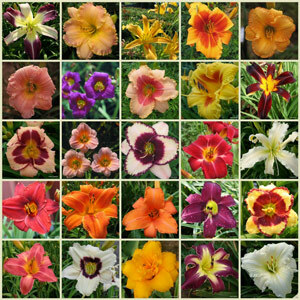 It is very reliable and prolific and is one of my 10 favorites of over 175 cultivars I grow. 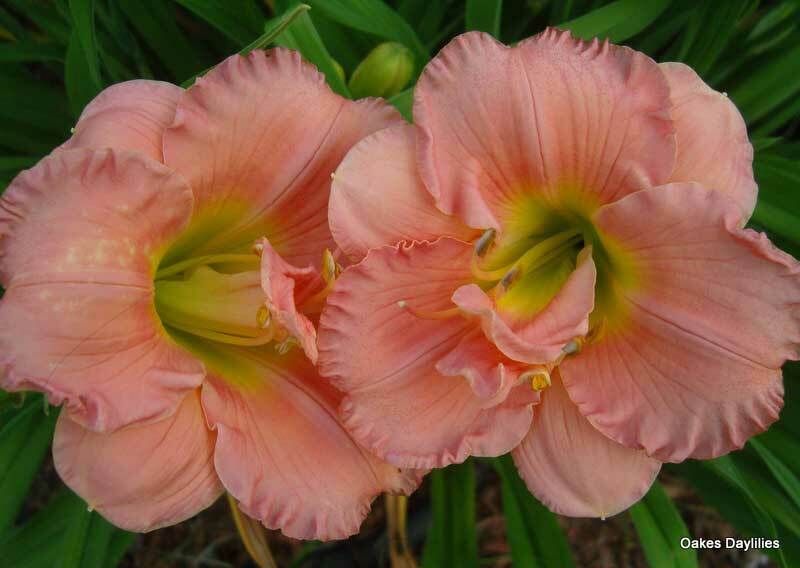 Most of the blooms are single but are very pretty in more of a peachy pink color here. The occasional double is gorgeous. 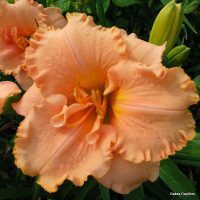 It makes a large clump more rapidly than most cultivers and is a more prolific bloomer than most with a long bloom period of 5 to 6 weeks. What can I say about this true classic that has not already been said, except to add my rave also. This was one of the first dalilies added to our garden and has been a favorite since. It reminds me of a carnation. Such a great plant! In my garden it is a peachy-pink. Still gorgeous, though, even if the color is slightly different for me than what is shown. Probably the soil (acidic) here. Oh, this is such a beautiful bloom. This last year was it’s first year in our fire department’s memorial garden and the blooms it graced us with were just amazing. They are loaded with ruffles and the sweetest pink. I have no question in my mind as to why it won the Stout Medal. This variety is almost as perfect as it gets. The beautiful double shape and color is first rate and the bud count is outstanding. This one is must have! Beautiful! 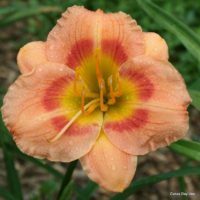 I have had this daylily for many years, and have tranplanted them in different locations around my home. They have always performed very well, and I have never had any ploblems with these gorgeous plants in my climate. 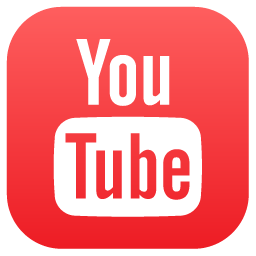 I recommend them to all! More than I expected for the first year. Loads of buds! Couldn’t ask for more! 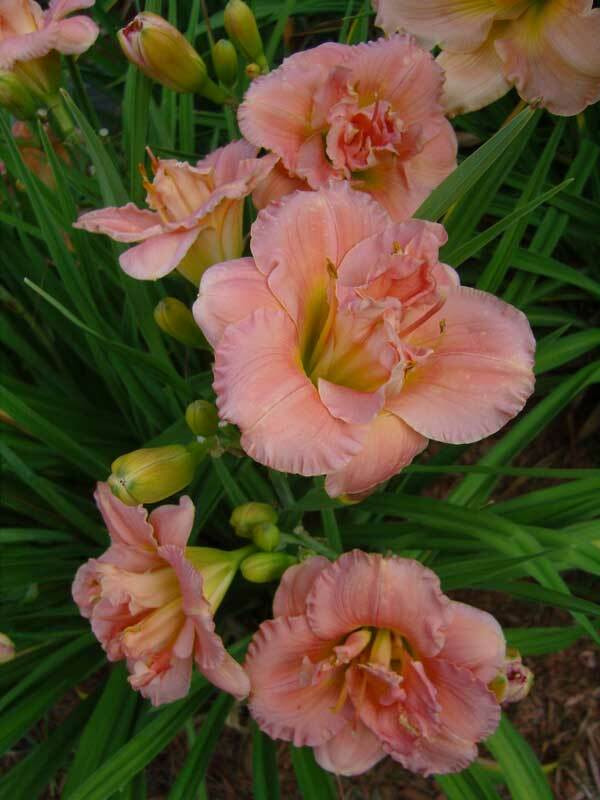 Excellant color, dependable double, tolerant of the extreme weather of MI, favorite of garden visitors.